There are a few Zebra's in East Africa...about 250,000 during the August/September migration, as a rough estimate (I lost count). Very cool animals, especially their extremely unique look...stripes. Stripes? What's up with that? 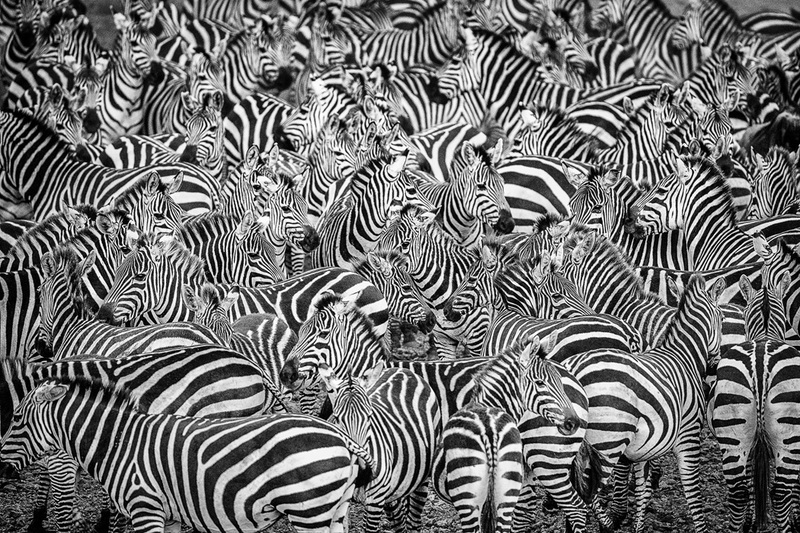 Well, people much smarter than me have been studying this mystery for a long time...all the way back to Darwin, who dismissed the idea that the stripes acted as camouflage based on their herd mentality. So other theories exist, the most recent study suggests the stripes could provide a variable temperature across the body as certain areas would be warmer than others given black absorbs heat, and white reflects. Another cool fact...like fingerprints and snowflakes...no two zebra's have the exact same stripes. What do I think? I haven't a clue but they are a very cool species!